Click above map for larger view of Library Locations. Science and technology are widely recognized as major drivers of innovation and industry. Throughout human history, engineering has driven the advance of civilization. Today technology and engineering are transforming our lives in ways that are hard to comprehend – in communication, energy, transportation, and health. In this century, we face many challenges: sustainable growth, new and efficient energy sources, clean water, a digital divide, and many more. The U.S. will not be able to meet the science, technology, engineering, and math (STEM) workplace demands of the future if we are not able to engage, inspire, and educate our growing ethnically diverse populations in a variety of STEM disciplines. While non-white ethnic populations are increasing, most continue to be severely underrepresented in STEM fields. 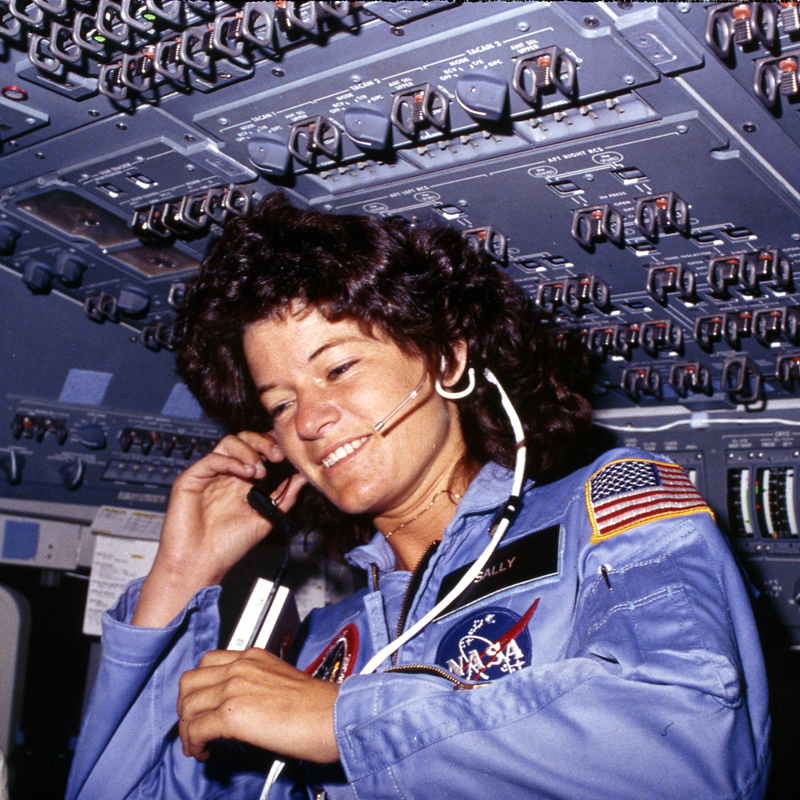 Gender disparities in STEM are also a serious problem. Jr.FLL introduces elementary school children to STEM concepts, fostering early interest and confidence in these areas for their later school years and careers. Children are natural scientists at birth, discovering and exploring their world and trying to make sense of it. Yet, research demonstrates that by the time children reach fourth grade, a third of all students have lost an interest in science and by eighth grade nearly fifty percent of students have deemed science and technology as irrelevant to their future career plans. Students from under-resourced communities face considerable barriers to developing STEM skills. Many of these students find themselves in high-poverty schools that lack academic and financial resources and teachers who are inadequately prepared to teach STEM concepts. Almost every community in the U.S. has a public library. There are nearly 17,000 library locations across the country where children have free access to information, the Internet and educational programming. With the low costs associated with running the Jr.FLL program, libraries are an excellent avenue for reaching children in all types of communities, but especially those where resources are limited. Libraries are uniquely positioned to reach underserved and underrepresented populations with Jr.FLL programs. 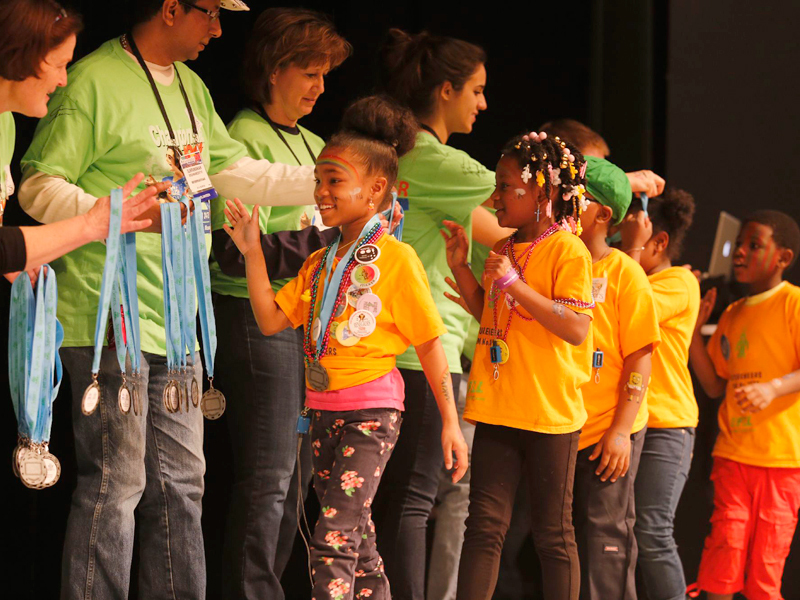 While parent volunteers served as the coaches, children’s librarians and teen volunteers (e.g. high school students) were also involved. 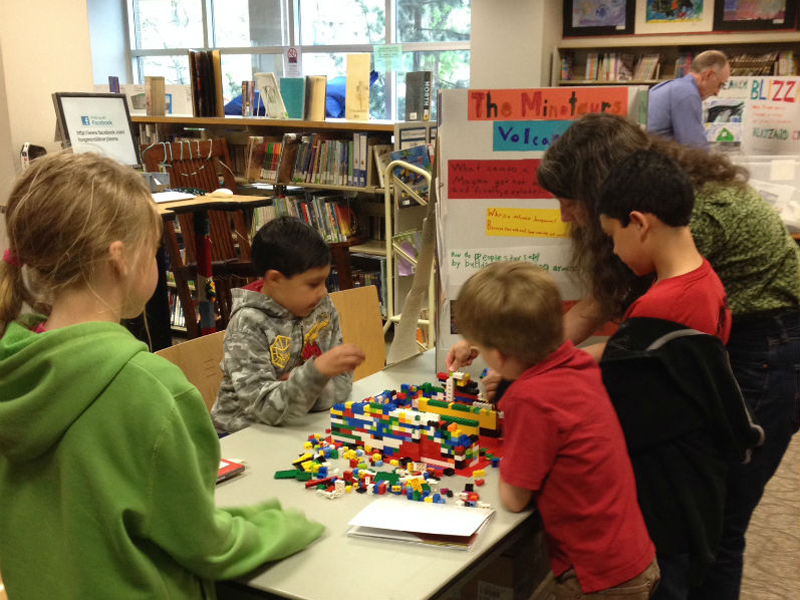 A Jr.FLL program was established in selected public libraries with funding from the LEGO Foundation and internal NCIL funds. Initially, 3 pilot sites (in Cheyenne, WY; Louisville, CO; and Longmont, CO) were chosen to demonstrate the efficacy of this intervention and whether host libraries would be able to effectively run the program, recruit participants, and attract high quality coaches. Phase 2 of the pilot began in the Spring, 2014, with a competitive application disseminated through the STAR_Net Online Community for an additional 17 libraries (20 total). The announcement received over 80 qualified applications, and participants were chosen based on a variety of factors, including but not limited to: current participation in technology and engineering activities, percentage of population classified as underserved, size of population served and geographic location. 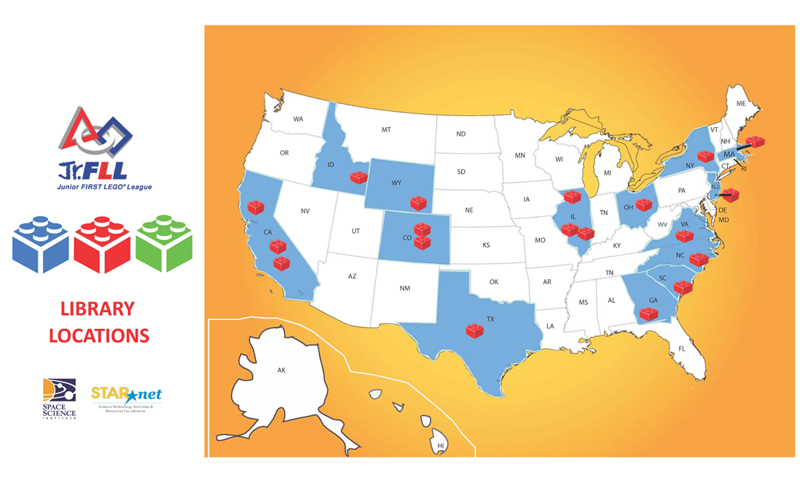 Jr.FLL host libraries represent a diverse cross-section of library patrons nationwide. The map shows where the pilot sites are located. A 5 team, 12 session format was the ideal starting point for the host libraries. With 2-6 children and a coach on each team, the host library oversaw all aspects of the program including the Expo at the end of each session. Utilizing the Jr.FLL Activity Pack, volunteer coaches guided their team through the 12 sessions with the step-by-step instructions provided, using relevant library resources. With 12 defined sessions, libraries decided when/how they would like their teams to meet. For example, as an after-school offering, libraries could have teams meet twice a week for 6 weeks or once a week for 12 weeks with a culminating Expo to show off their work at the end. This flexibility allows libraries to choose a schedule that best fits their space and the children they are looking to reach. 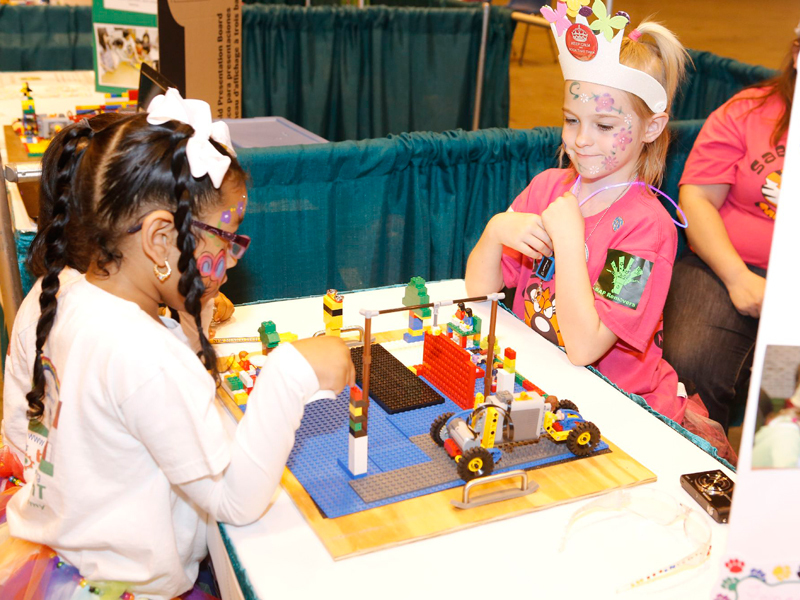 The Expo experience was a great way for libraries to invite community members (children and adults) to celebrate the achievements of the Jr.FLL students and for participants to learn about the important role that STEM is playing in their community.